A few weeks ago we were invited to a Sunday dinner, and I volunteered to bring dessert. I knew I wanted something a bit fancier as this was to be a more formal dinner setting. Maybe I’m strange, but I feel a certain amount of pressure when selecting which dessert to make. There are just SO many amazing dessert recipes out there and only so many dessert making opportunities – one has to be selective. 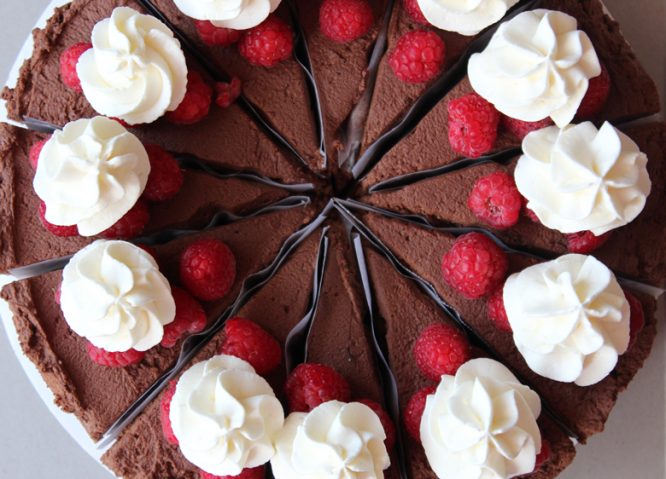 When I found this double chocolate mousse torte from my trusted recipe source I knew it would fit the bill. It was amazing – so amazing that a week later one of the dinner guests emailed to ask if I’d be willing to make it again for a group of 30 she was hosting a dinner party for. If you need a fancy schmancy dessert to impress, this is the one. Trust me. Recipe found here. As a child, my favorite flavor of ice cream was mint chocolate chip – I believe Starlight Mint was it’s name. Those small morsels of chocolate in the creaming mint ice cream made for a tiny celebration in my mouth. These two flavors have always been a favorite combination to me, so when I saw this recipe from Your Cup of Cake, I knew I wouldn’t be happy till I made them. 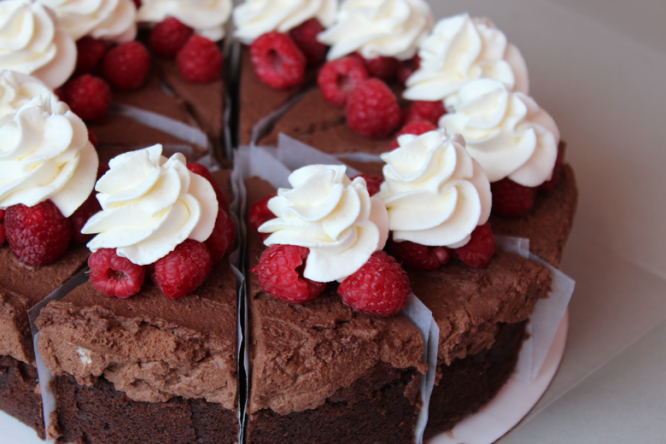 These little beauties were the perfect mixture of minty goodness and fudgey chocolate. Complete with a mint fudge filling and mint cream cheese frosting, these are sure to please. 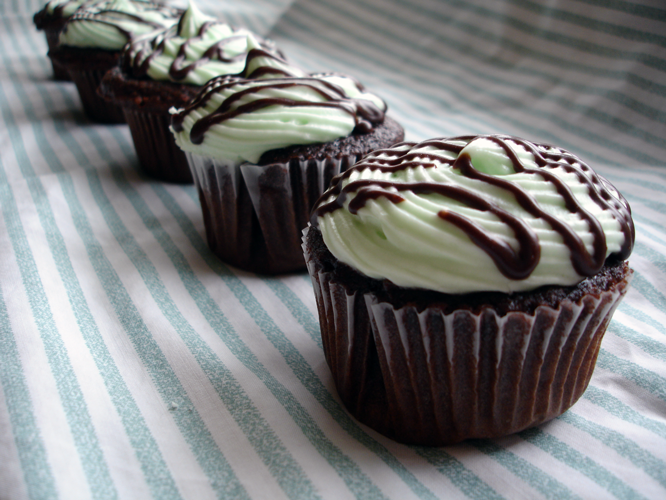 If you are a mint and chocolate lover, you simply must give these simple cupcakes a try. Preheat the over to 350°. Line two muffin tins with cupcake wrappers. Mix together sour cream, oil, vaniila, eggs, water, milk, and cake mix. Beat on medium speed for two minutes. Fill liner ¾ full with batter and bake for 14-18 minutes. Melt chocolate chips and heavy cream. Combine until smooth. Mix in peppermint extract and powdered sugar. When cupcakes come out of the oven, use a squeeze bottle or spoon to put filling in cupcakes. Allow cupcakes to cool completely. Beat cream cheese and butter until fluffy. Add the peppermint extract. Beat in powered sugar one cup at a time. Add milk to reach desired consistency. Mix in food coloring. Pipe onto cooled cupcakes. Drizzles extra chocolate mint filling on tops if desired.